Ancient – Ailsa’s WTT | Ouch!! My back hurts!! 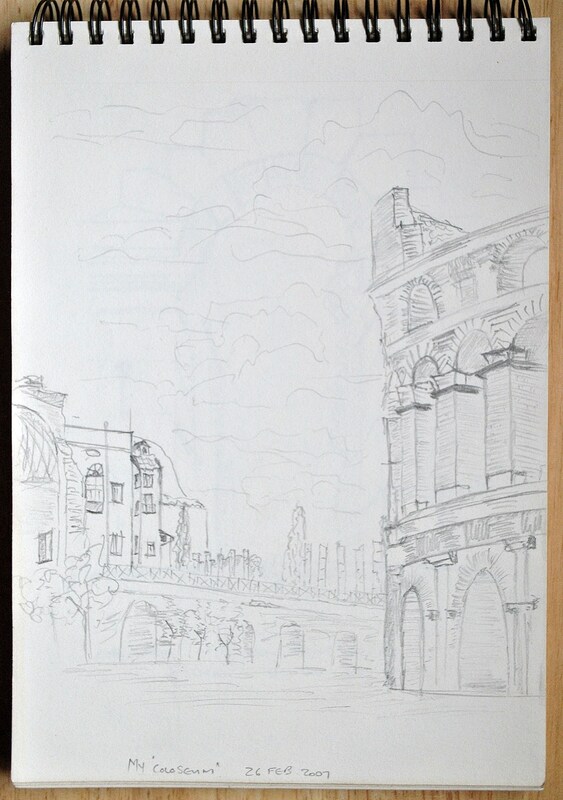 Ailsa’s been messing about in Rome… setting challenges for us to pursue. Well, we’ve visited Rome once before… spent 3 days running around the city… getting claustrophobic on the underground, in the trains and buses… never mind being trampled in the Sistine Chapel or St Peters. Never mind the fake swordsmen and gladiators wanting to stick their fake weapons into us because we didn’t want to pay them protection money at that Fountain… or that ancient sporting arena they call the Colosseum. The only thing? I can tell you all about our visit… it’s rather difficult showing you photos because most of them are stored on the old family PC… yes, the one that crashes every time we attempt to open the photo folders. Then a thought struck… less violently than a fake gladiator’s fake sword blow… I never actually went in with the family when they went on their Colosseum tour. 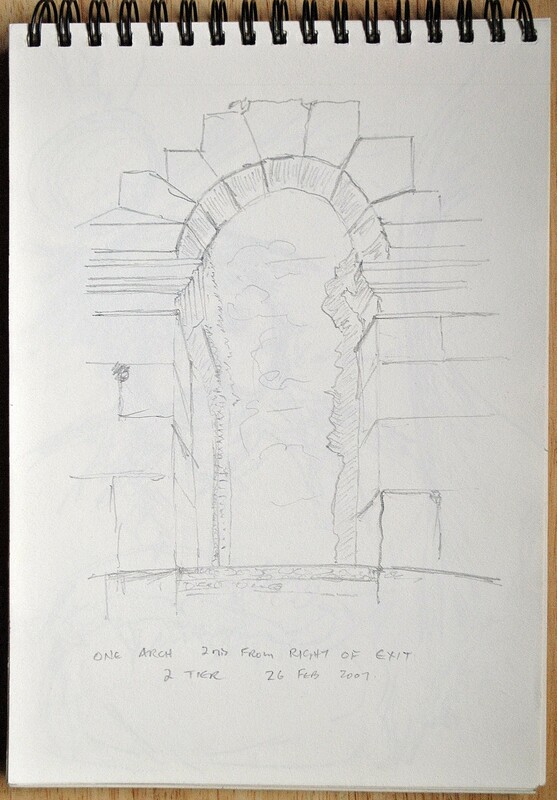 At that stage I’d had enough of tourists and oppressive crowds… so, I sat outside busying myself with a memory maker of other means… a sketch pad. 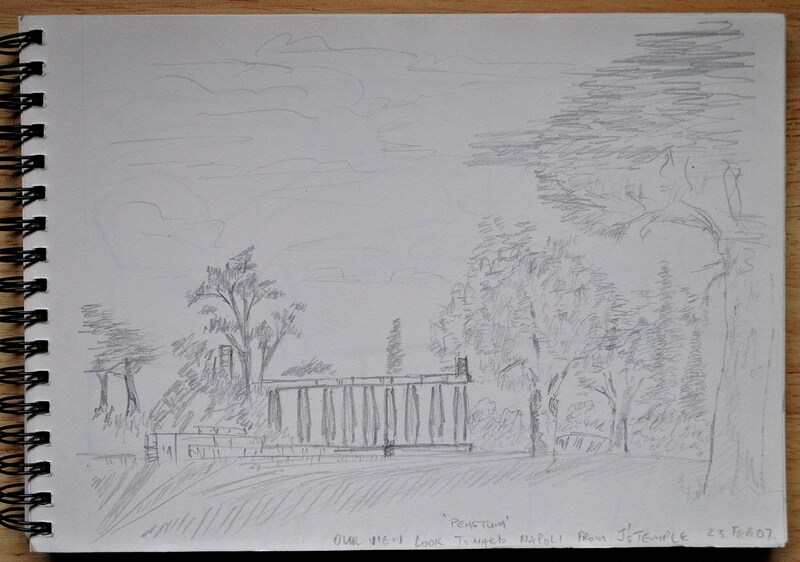 There you have it… now I can also show you a version of something ancient… also from the Roma of Nero… with a subtle difference… a few sketches of my views on the day… not as good as a professional’s efforts yet memories of ancient places, my way… a-la me! This entry was posted in Art, Factual Opinion, Family & Life, Photography, Writing and tagged #Architecture, #blog buddies, #blogging, #challenge, #history, #holiday, #humour, #myth, #past, #photography 📷, #quirky, #trains 🚂, #travel 🛫, Art, Italy, photos, postaday, Rome, St Peter's, Walking. Bookmark the permalink. Nice Sketch! I LOVED Rome ! Went in late October , no crowds and mostly walked. Fabulous weather too. LOVE Rome. A very lovely and “old school” way to preserve memories!